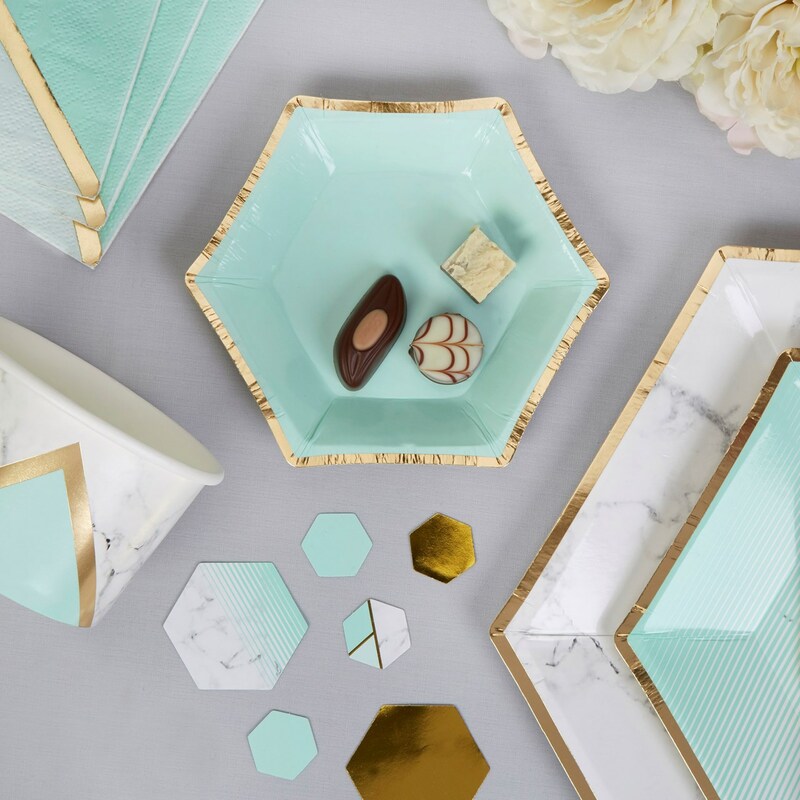 Featuring a bold hexagonal shape and cool mint colourway, enhanced with a simple gold edging. This stylish plate makes a useful addition to your party table and it can be mixed in with both medium and large sized plates to create a striking table setting for a variety of celebrations. Made from high quality card, the plate is the perfect size for your party nibbles, the plate is part of a full range of tableware and decorative accessories. Each pack contains 8 Small Paper Plates, size: 125mm.